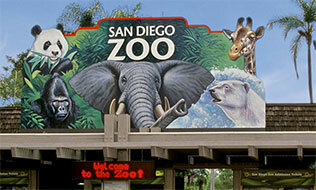 Which is worth San Diego Zoo Taxi to Airport or Professional Cab to Airport? When we look around for a stress-free journey by flight, we all know it is not possible. But yes, you can at least have a stress traveling till airport so that after the luxurious traveling, baring the hectic flight should not be a problem or you. For this, choosing at taxi does not make any sense as the situation can come anytime anything be it the taxi gets damaged or the weather turns out to be ugly. At such time, it is an only professional company like Afford transportation that can help you get the best of San Diego zoo transportation at great pricing. You might be wondering why choosing the professional San Diego Zoo Limo Service is preferable over the regular ones. Well, the fact is, if you are looking for a stress-free alternative that can get you to and from the airport then certainly you can choose the affordable transport service. The focus of such type of San Diego Zoo Transportation Services is to offer its valuable customers with some of the incredible services such as tracking the flight status, providing the pleasant journey to the airport, ensuring the luggage’s is kept safe and secured and many more. The traveler gets all this at a competitive rate. Not only this, by choosing the right San Diego zoo transportation you can have the most pleasant traveling experience especially when the family members and luggage are involved. So if you are thinking of catching the flight from an overcrowded taxi or by paying those expensive taxi fares then think once again. If you think that driving on own and parking at the airport and paying those heavy airport parks is worth then do you take its security guarantee? Well for all such things, you can certainly choose the San Diego Zoo Airport Car Service or Airport Transportation San Diego CA at great pricing without any kind of hassle.